With that comes that "awkward" transitional period between winter and summer fashion, but we got you covered. 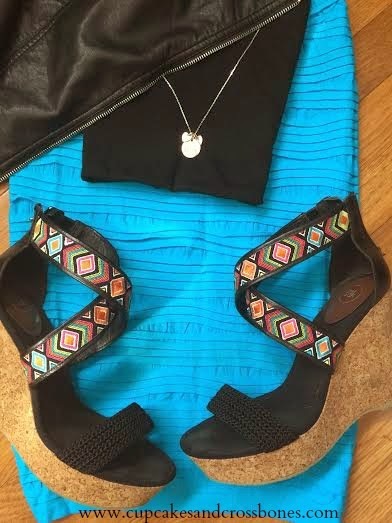 Today's #OOTD is all about transitioning, looking great, and of course...saving money. If you love that skirt as much as I do, you are in luck! My Sister's Closet Boutique was nice enough to gift all of you awesome Cupcakes & Crossbones viewers with an awesome coupon code to shop their boutique! Not only are all of their clothes absolutely adorable and stylish, they are also friendly on the wallet. We honestly couldn't believe some of these prices. So head over now and shop till you drop. Don't forget to use your coupon code below before it's too late. What must have items did you find on the My Sister's Closet Boutique website? love that color! makes me want to skip to summer! Me too! It's so bright and cheery! 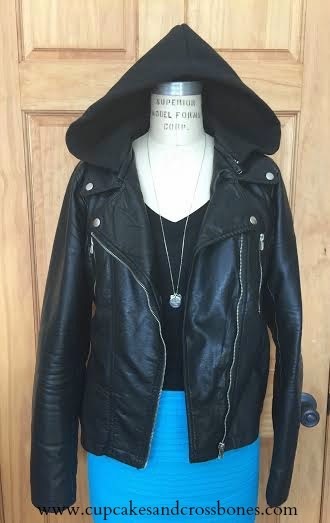 Layering is so important in transitional weather and that leather jacket is awesome!! Love the jacket and the color on the skirt really pops! The jacket I wear with everything. Love it!! what a pretty colour! that jacket looks super versatile. Thank, we love it too, it adds such a cheerful pop to the outfit! That skirt colour is really cool! Thanks girl! It's def time to start brightening things up around here...especially with all this snow we have gotten in NY!